The Body Rules the Fallout of Survivor Series 2009! After Survivor Series on the 22nd, Jesse “the Governor” Ventura was our guest host on Monday Night Raw’s “Raw’s Thanksgiving.” In my personal opinion, I feel “the Body” ruled the fallout of this year’s Survivor Series! 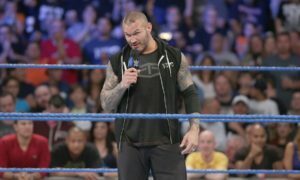 When Raw started, Orton came out and exclaimed to Ventura that he wanted a shot at John Cena and the WWE Championship. After this, Ventura came out. He was announced as Jesse “Governor” Ventura. I think that’s odd, how Ventura always was known as “the Body” or “the Mind” in the wrestling business. But anyways…. Ventura said he’s a “revolutionary governor,” and he won’t give Orton a title shot. In which, Ventura said that he’s getting tired of the same old guys getting title shots and not having new guys get a shot at the world title. In which, Jesse set up a “Breakthrough Battle Royal” for latter in the night. And the winner will challenge his brands world champion. During the night, we saw the encounter of Jesse and Mr. McMahon backstage. It was quite interesting of an encounter, to be honest with you. McMahon told Jesse until he gets better competition; he won’t face Jesse on Raw in a match. Ventura said he wasn’t the guest host to face McMahon that night, no, he is back for one thing, and that’s to go back on the mic with his old broadcast partner, Vincent Kennedy McMahon! But not wanting to recap the whole Raw, because one can go to WWE’s website to check that out, but let’s discuss my opinion of the main event! And what memories came back during the “Breakthrough Battle Royal” with Vince McMahon doing play-by-play and Jesse Ventura doing color. With McMahon coming out to “Obsession” by Animotion, which was the theme song of Saturday Night’s Main Event back when those two did play-by-play and color back then. With the song “Obsession,” McMahon was wearing a tuxedo and a red bow-tie, doing the “McMahon Power Walk,” which gave me a great belly laugh. After hearing these two guys on air calling the battle royal (by the way, Sheamus won the battle royal and now is facing Cena at WWE TLC in a Tables match for the WWE title), it made me miss the old days of play-by-play and color commentating, when the play-by-play man was the face and the color commentator was the heel. I feel like McMahon should come back as play-by-play and hire Ventura as the color and only do the main events on Raw. I believe that would be awesome! But to wrap this up, this is Eric Darsie from Minnesota, chilling after a Thanksgiving weekend, goodbye!